Since CTT Shipping’s inception, we have acted as manager of dozens of vessels across a wide range of ocean-going vessel types, including bulk carriers, chemical and product tankers, containerships, reefers, ro-ro, project cargo and passenger ships. Our clients have included small independent owners, investment groups, financial institutions and specialized charterers. Our services have consistently resulted in both cost savings and quality improvement. Our extensive research forms the basis of the management policies which, when implemented, have allowed our clients to enjoy an average operating cost reduction of 7% when compared with vessels' prior managers. We have successfully negotiated Hull & Machinery rate reductions as large as 17.3% and have consistently achieved higher Rightship ratings with an average of one additional star awarded per vessel. 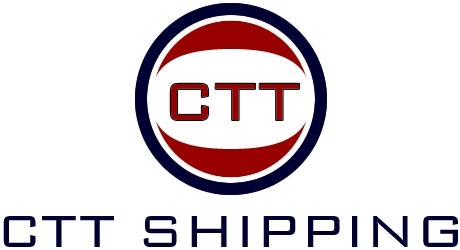 CTT Shipping has also acted as contracted in-house management consultants in the organizational phase of a publicly traded shipowner after their successful blank check company IPO in New York. In this case we were also contracted to lead management takeover of a fleet consisting of four Capesize, one Panamax and eight Supramax dry bulk vessels with an annual fleet budget of $24 million and dry docking budget for 8 vessels of $16 million. CTT Shipping has been responsible for strategic commercial planning, chartering and overall projects including Contracts of Affreightment, Voyage and Period Charters for a fleet of Multipurpose, Heavy Lift and Handysize dry bulk vessels. We have also initiated and operated container liner services operating between the US Gulf Coast and West Coast South America, and within the Caribbean. We offer expert market insight and our achieved results have consistently been highly competitive. Our strategies are tailored to our clients’ desired freight risk exposure, and can include long and short term employment options to optimize financial performance by identifying prevailing trends. We maintain close working relationships with ship brokers around the world offering us access to strong market intelligence. Where our clients require commercial management of maritime assets, we develop detailed strategic business plans including deployment strategies and financial projections.